(Bill Lewis, For Williamson. Click HERE for full article) Townhomes with a small yard, or no yard at all, are among builders' most in-demand floor plans. Something is missing from many of the new homes being built in Williamson County, but no one seems to mind. They have the granite countertops, gourmet kitchens and hardwood floors you’d expect in almost any new home, and many even have garages, but they don’t have the one feature that has gone hand-in-hand with the suburbs for generations. The yard is gone. For luxury builders and production homebuilding companies alike, two- and three-story townhomes with either no yard at all or a postage stamp of grass at the front door are among their most in-demand floor plans. “I didn’t think I’d ever sell a townhome in Franklin, but I’ve sold a lot,” said Kevin Green, broker for luxury builder Ford Custom Classic Homes. Lock and leave A combination of market forces — including soaring prices for building sites and the desire of many homebuyers to live a lock-and-leave lifestyle — is making townhomes an attractive alternative to traditional single-family houses. Because they take less land, townhomes can be less expensive to build and to buy. And no yard means no yard work. “You don’t need a lawnmower,” said Green. Ford Custom Classic Homes plans to build 34 townhomes in Echelon at Lockwood Glen. Ten are currently under construction. “I have two units already sold and others are looking,” said Green. The company also is introducing a new phase of townhomes at Westhaven and has previously offered brownstones near downtown Franklin. “I think builders can’t build townhomes fast enough,” he said. Builders move fast Ford is not alone. The Patterson Company offers new townhomes priced from the mid-$300,000s to the $400,000s in the Gateway Village neighborhood in Cool Springs. 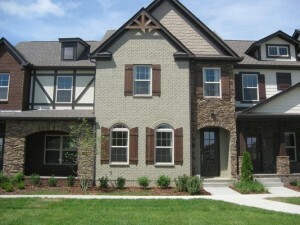 Goodall Homes has offered townhomes for several years at its Shadow Green community in Franklin. Prices range from $305,275 to $326,427. Goodall offers townhomes in Rizer Point, along Del Rio Pike, and in Lockwood Glen. Goodall also offers cottages — similar to a townhome but all on one level — in the Waters Edge subdivision and in Nolensville at the Cottages at Bent Creek. Regent Homes is introducing Federal-style brownstones in Berry Farms, the master-planned community on Franklin’s south side. Prices start at $350,000. Four went on the market the first week of September. “I’ve already sold one, and they just got released last week,” said Jeffrey Caruth, affiliate broker for Regent Homes. “It’s price-competitive with rent in Franklin, and it’s a maintenance-free lifestyle. There’s so much to do in the Nashville region these days. People want to live, work, play,” he said. Regent also builds townhomes in Lockwood Glen, with prices starting at $369,900, and in Spring Hill’s Shirebrook subdivision, where prices begin at $199,900. Regent builds condominiums in Westhaven, where a newly finished example was on sale in early September for $364,805. The company also has 27 condos under construction in Berry Farms. 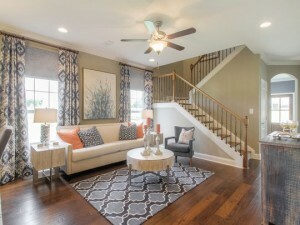 The Alicia Town Center Homes range from $249,900 to $299,900. 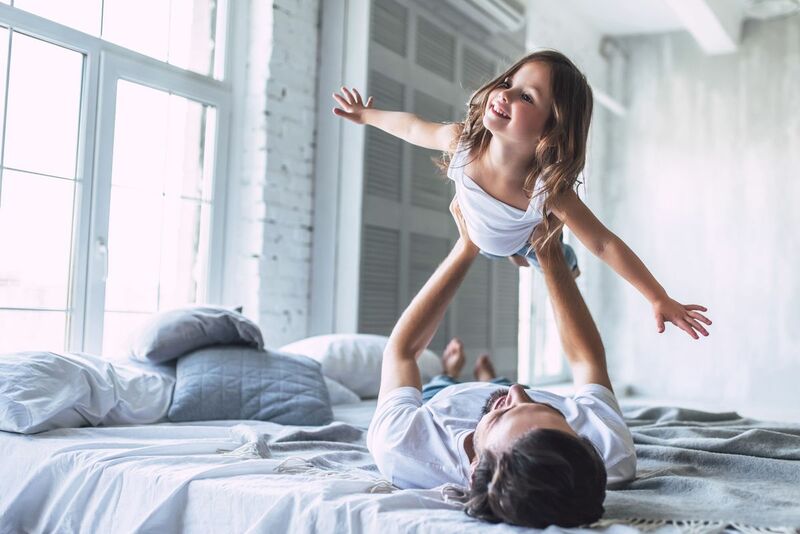 Affordability matters Goodall Homes executive Keith Porterfield said affordability is making townhomes more popular than ever. “Detached singles are so expensive. Townhomes are an option for a new home at a more reasonable price. More and more people don’t want the yard, and townhomes make for a good community. You get to know your neighbors,” he said. Sandra Griffin discovered that two years ago when she moved from suburban Nashville to Shadow Green. “Living in Franklin is such a joy,” she said. One thing Griffin misses is having a private driveway. Finding a convenient parking spot can sometimes be a challenge. On the other hand, she doesn’t miss having a large yard. “The upkeep was too much for me,” she said. When the day comes that she doesn’t want to go up and down her townhome’s stairs anymore, she might consider buying one of Goodall’s cottages. “In a few years, definitely, I’d like one level,” said Griffin.